In honor of Trans Day of Remembrance on November 20th, this week we remember trans and gender nonconforming comrades taken from our communities, many by prisons, police, transphobic violence, or the systemic and deliberate abandonment, oppression, and denial of resources to trans people. 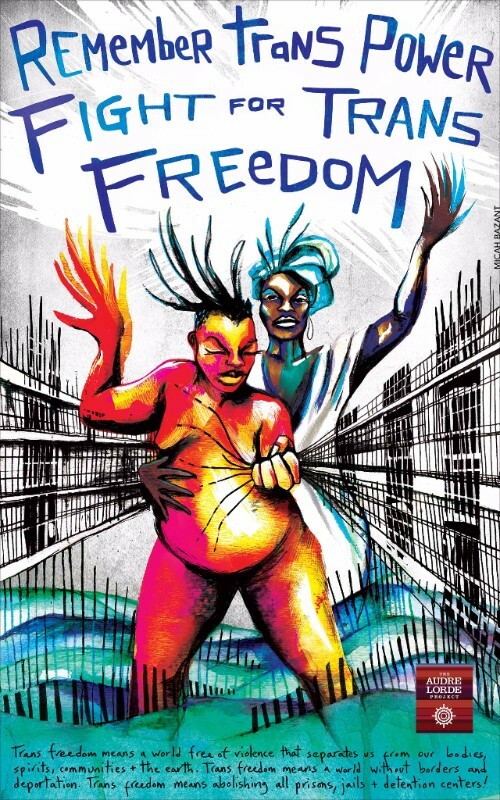 Transgender Black women and other women of color are primary targets of the prison industrial complex (PIC), facing extreme rates of police violence, arrest for quality of life charges or broken windows policing, and subjection to additional violence, isolation, and disenfranchisement within the prison system. On a global scale, militarism and policing provide fuel for both imperialism and transphobia, prompting migrant rights organizations such as Mariposas Sin Fronteras to call for abolition of borders and an end to migrant imprisonment. State driven attacks on trans and gender nonconforming people have pushed communities to respond with campaigns that work towards abolitionist reforms, build power, and address life sustaining needs for people targeted by imprisonment and policing. This year, trans people formerly and currently imprisoned led the fight to end restrictions on changing your name while imprisoned in California. 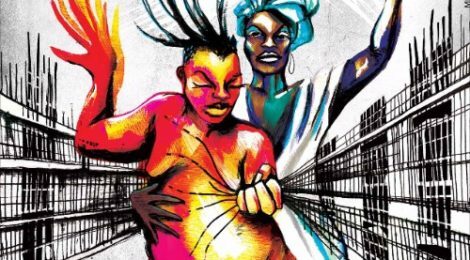 Ten years ago, Critical Resistance proudly supported the groundbreaking Transforming Justice gathering that brought renewed power and momentum to trans abolitionist organizing, providing models of people most impacted by the PIC organizing and leading the movement. Organizations such as Transgender, Gender Variant, and Intersex Justice Project in San Francisco, Sylvia Rivera Law Project in New York City, and Racial Justice Action Center in Atlanta center bold and strong trans visions for abolition. Trans abolitionist leaders like Miss Major and Janetta Johnson continue to teach us that our movement centered at the intersections of trans people of color liberation and abolition must by definition and design foster support, growth, strength, and loving struggle among each other and ourselves. Trans abolitionists have been at the forefront of moving a vision of abolition that works to dismantle the PIC and build transformative solutions to state violence, individual harm, and community abandonment while resisting liberal reforms. Trans activists, and in particular trans people of color, have boldly challenged liberalism within mainstream LGB(TQ) organizations (that often center white, middle class, heteronormative ideals) and dislodged part of the broader liberal agenda that reinforces the PIC. The words of Bassichis, Lee, and Spade in Captive Genders continue to ring true on the road to abolition. As an organization that is devoted to dismantling the PIC, we salute the leadership of trans, intersex, and gender nonconforming abolitionists in our movements for liberation. ← Today is #GivingTuesday! Today you can support political study and organizing by people who are locked up.